No pet owner likes to think about their pet getting sick or needing surgery. But accidents do happen and pets do get sick. Pet insurance provides you with the comfort of knowing your pet’s medical needs will be met in the event of illness or injury. Like many important investments, it is important to consider several factors when choosing pet insurance coverage. These factors include understanding how premiums are calculated and what your expectation of an insurance policy are. In many ways, pet insurance is similar to other types of insurance. Different levels of coverage will be available, and premiums will vary based on the plan selected. Some plans cover only accidents and injuries, while more expensive plans will provide more coverage. Most plans have a deductible, which means you will have to pay a certain amount of the medical expenses. However, as The Penny Hoarder points out, the goal of pet insurance is not to help a policy holder make money, but rather to help prepare for a potential emergency. 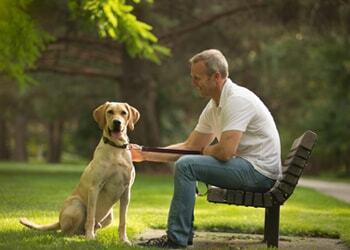 The cost of pet insurance will depend on a variety of factors such as the age of your pet. Older pets may also have a pre-existing condition that may not be covered. In general, older pets have higher premiums simply because, like older people, older pets usually require more medical attention. If a pre-existing condition is excluded, however, pet insurance can still help pay for future medical expenses. Your pet’s breed will also affect the cost of premiums. This is because some breeds are more prone to certain health issues requiring medical attention. Even though premiums may reflect this likelihood, insurance may be even more necessary since your pet is more likely to need medical care. For younger pets, premiums will usually be low. This allows you to have the security of pet insurance for less money. Obviously, no one can predict if your pet will need expensive medical care and sadly young and old pets do get injured or sick unexpectedly. Take a look at reasons why you should get pet insurance while your pets are still young. So Should I Get Pet Insurance? Just because your pet might not be a “new” member of the family or catches every bug at puppy day care, you can tailor your plan to fit your needs. Pets Best allows you to find the right plan for your pet. By fine tuning your coverage, reimbursement, and deductible levels you can get the best match. There are also Accident Only plans, because even small levels of protection offered by pet insurance can be invaluable in an emergency. Consider all of these factors when deciding which pet insurance plan is best for you, your pet and your budget. Investing in pet insurance is investing in your pet’s future health, and provides invaluable peace of mind. Like any insurance policy, the best scenario is never actually having to use it.